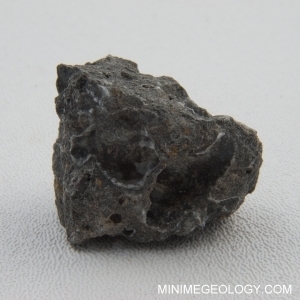 Basalt is a common, gray to black extrusive igneous rock. Major minerals of basalt include pyroxene and feldspar. Basalt is heavy and has a fine-grained texture due to rapid cooling outside of the volcano.